Almost done with bag posts! 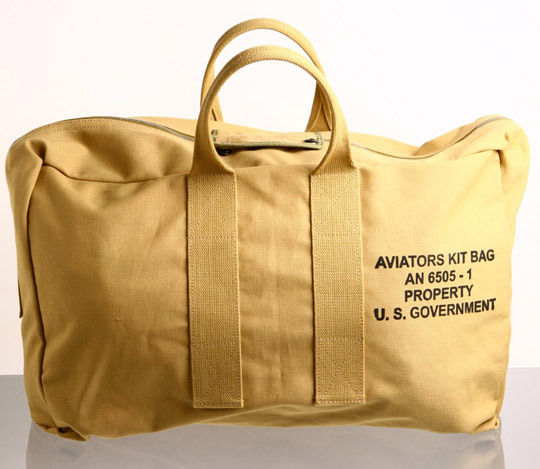 During my last stop at the mil surplus store (see previous post), I picked up this vintage aviator’s kit bag for use on the days when I have to pack a ton of gear. 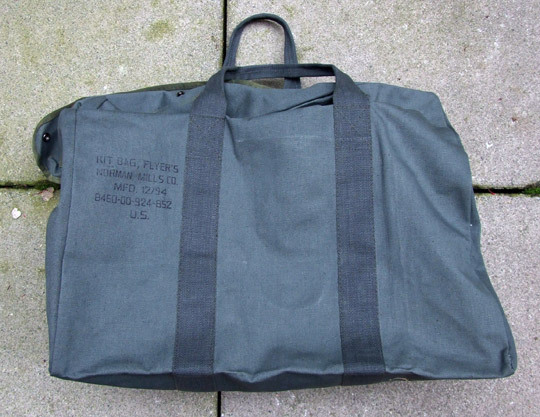 According to the markings on it, it’s over 15 years old and was made here in the U.S.
For a slightly smaller version, here’s a repro of a USAAF Type AN 6505-1 aviator kit bag as sold by Oi Polloi as part of the Heritage Research x Eastman Leather pack. It can also be purchased separately (sans Heritage Research branding) straight from History Preservation. 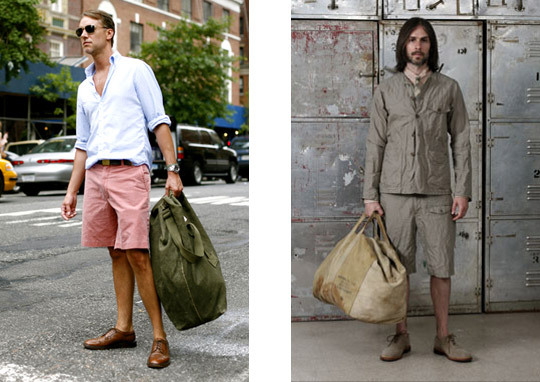 Michael Bastian holding a duffle bag on the left, and Arik Roper in the Engineered Garments Spring/Summer 2010 lookbook.